This is a collage of three photos of the pirate ship at our library. The children’s section is getting a much needed face lift. This ship is being built in honor of our wonderful Miss Heather, who died last May. I hit an all-time distance and calorie burn record in thirty minutes on the elliptical. (But, since I didn’t get up at 5:30, I was about 15 minutes late starting school.) The best part was that I was able to walk out after this. 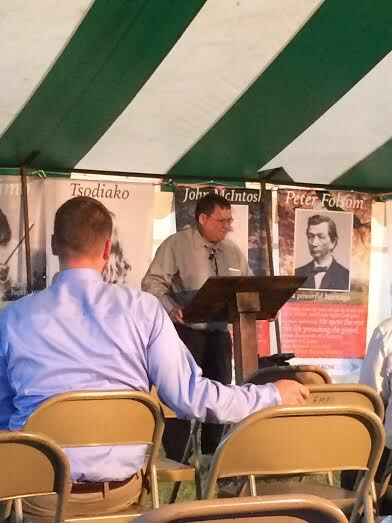 Our church sponsored a tent meeting to reach the Native Americans in our area. This meeting was a great success and isn’t over yet – a brand new church is being gathered to reach various tribes of Native Americans in our area. If you think of it, please pray for the Lawton Indian Baptist Church! The Gospel isn’t just an important thing, it’s the main thing! In the first video, he is quoting his first poem of K5 from memory. In the second video, he is quoting his memory verse for the week, Psalm 139:14. When I played the video back for him, he said, “I sound like a child!” Oh boy, he keeps me laughing! I have enjoyed a nice leisurely day today so far, for Labor Day. I have done laundry, written some notes, had lunch with my main man, and am about to write some lesson plans and a grocery list. I hope to squeeze in some reading, too. I’m currently reading To the Golden Shore, a biography of Adoniram Judson and When Comes the Spring, the second book in the Canadian West Series by Janette Oke. I read all of the Canadian West Series when I was a young teen, but Lauren’s great-grandma gave them to her so I’m enjoying re-reading them. I have always liked Janette Oke’s books. Oh! Last week I celebrated – minus the actual “celebration” – my 8th year of blogging. Hard to believe I’ve been rambling for that long…okay, so maybe it’s not hard to believe. 😉 By way of irrelevant information, this is my 1,193rd post on this blog. Thank you for reading. Whether you’re a new visitor or an old friend, I’m so glad you’re here. Next Post How Lucky I Am! You have done an impressive amount of work! I get tired just reading all that you have done, much less doing all of it. 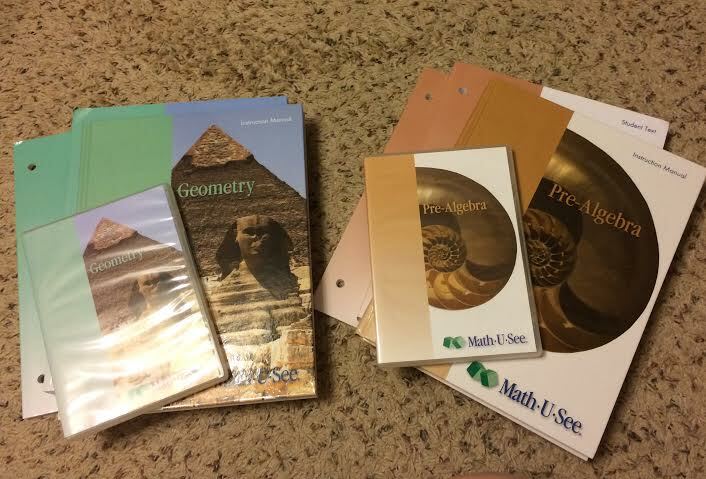 I certainly understand how stressful it can be to start a new school year, and you are teaching five different grades. Kudos to you! 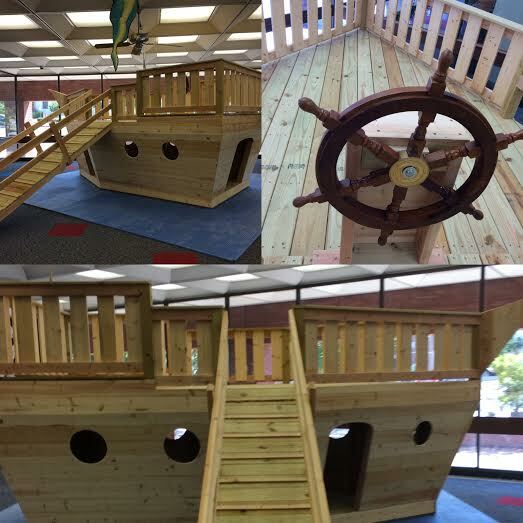 I love the pirate ship being built in the library. Did Miss Heather have a particular fondness for ships, pirates, and the sea, or did the staff just want to do a spectacular display in her honor? It is definitely spectacular. She did like pirates, but the ship also matches the water theme they are doing in the children’s area. The ship is the focal point and will therefore be dedicated to her.